Kona: "This way, mommy. Just a little more walk and we will get to the house." Ehime: "How long did we walk today?" 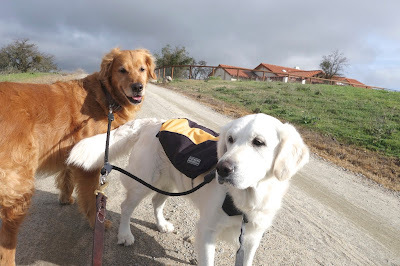 For our doggies who did a slow walk for a short distance with mommy today, please click the puppy photo on the right above or a dog picture below to vote for a doggie blog ranking. Thank you!